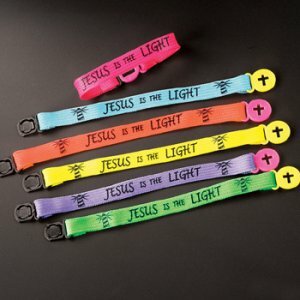 Christian 12 Pack of "Jesus is the Light" Bracelets. These bracelets are popular with children and teenagers alike. Bracelets measure approximately 20cm, are made of neon fabric and have a plastic clasp.